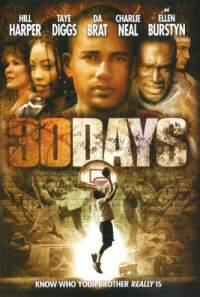 Two rival basketball stars are forced to face their respective prejudices. Jason, a Caucasian basketball player, lives in the suburbs along with his parents and younger brother. A confrontation breaks out between Jason's team, consisting of all white players, against an all-black team, specifically with a player named Donnell. The confrontation becomes physical, the police are summoned, both teams are arrested and brought before a Judge accused of Assault, Incite to Riot, and Disorderly Conduct. 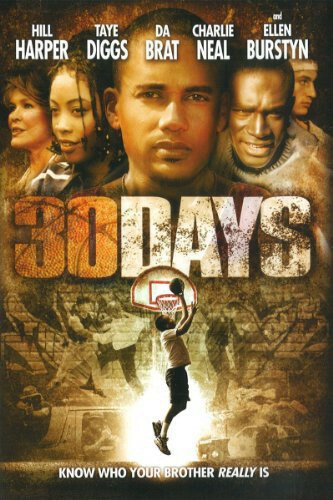 The two teams are sentenced to community service, while Jason and Donnell are sentenced to live in each other communities' for a period of 30 days - a decision that will drastically alter their lives. Regions are unavailable for this movie. Click the "Watch on Netflix" button to find out if 30 Days is playing in your country.